The twenty-four year old multiple world record setting Björn Koch announced on May 9th, 2012, that he has decided to retire from his competitive swimming career. 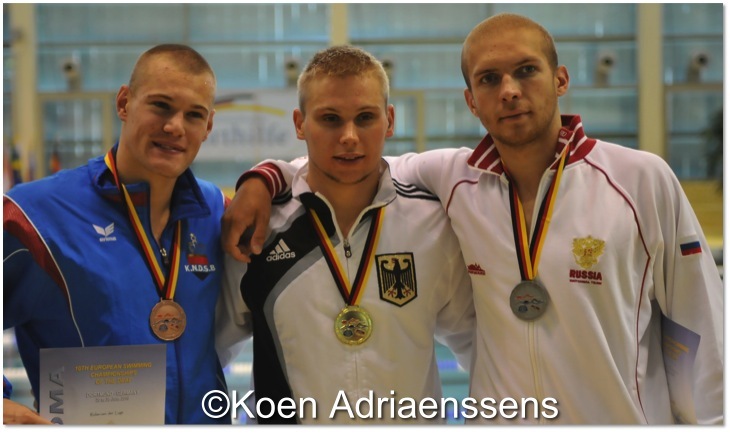 „I have no choice but to retire from the competitive aspect of swimming because I have been unable to train for more than a year,“ declared Koch who lives in Cologne. During his active swimming career Koch established twenty-one world records, twenty-three European records, and twenty German records. He also added multiple international medals to his collection in addition to two silver and two bronze medals during the 2009 Deaflympics in Taiwan. 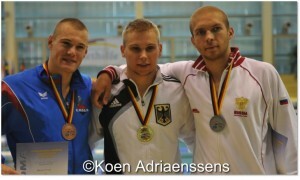 During the European Deaf Swimming Championships 2010 in Dortmund Koch won two gold, two silver, and four bronze medals. Unfortunately the German swimmer was not able to compete in Coimbra last year during the World Deaf Swimming Championships. In 2006 Koch was awarded the title of the WIDEX Sportsman of the Year and was the first German athlete to ever win this prestigious title http://www.deaflympics.com/athletes/?G=M&Y=2006. 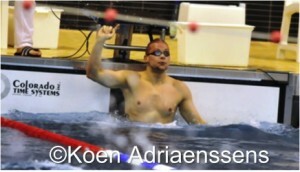 Dieser Beitrag wurde unter Europa Deaf Swimming, Germany, ICSD Swimming, Media veröffentlicht. Setze ein Lesezeichen auf den Permalink.